This C Bass Ophicleide by Charles Sax was built around 1835-1836 (S/N. 5201; dating from Langwill) and is a fantastic working example of a fairly early ophicleide. 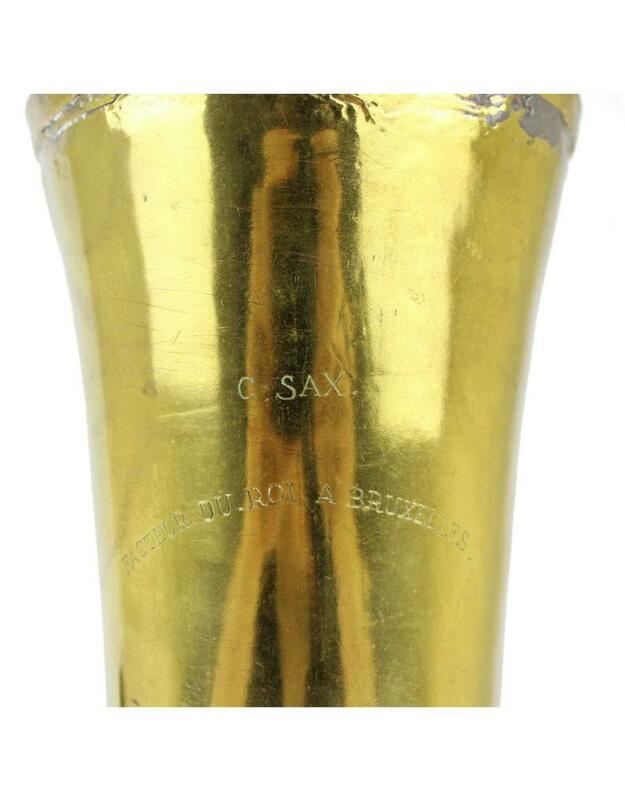 Charles Sax, the father of well-known maker Adolphe Sax, began his workshop in 1815 out of Bruxelles making various woodwinds, and began producing brass in 1822. By 1835, he was described as being "the foremost maker of wind instruments in Europe" at the Bruxelles exhibition that year, and had plans to enlarge his workforce to 250 with a steam-powered factory (still a quite novel technology at the time). Charles was just as innovative and explorative as his son, having patented improvements for everything from harps to pianos to woodwinds and brass. The Ophicleide itself was invented just two decades prior, in 1817, and at this stage was still working towards its final shape. 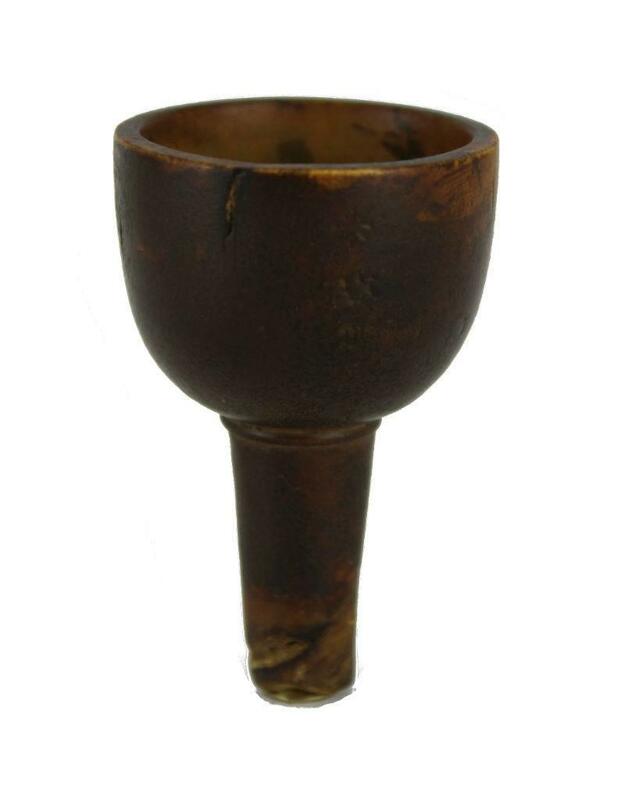 In this incarnation, it is easier to see its resemblance to the ancestral serpent family, with a straight, non-flaring bell. The ophicleide, although a very imperfect instrument by modern standards, revolutionized the low end of the brass family through the first half of the 19th century (and beyond in pockets of France), introducing a chromatic and relatively quite capable voice that could easily supplant the ancient serpent- an instrument which had not changed greatly in about 300 years with a better center and tone. On the side of the instrument, where the removable bocal is inserted into the rest of the instrument, is the phrase "Je maintiendrai" (the motto of the Netherlands, where Sax's workshop was located), and the serial number. 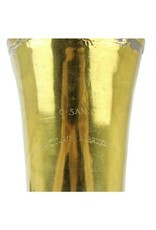 On the bell itself is "C. Sax" and "Facteur du Roi A Bruxelles". Engravings are clear and deep, the metal of the instrument itself is in quite good shape. There are only a few minor dents around the instrument, and the bell has been repaired previously. All keys are in working condition and the instrument is in playable condition. 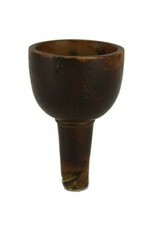 Also included is an original wooden Sax ophicleide mouthpiece.